Join free & follow Joanna O.
JOANNA O. 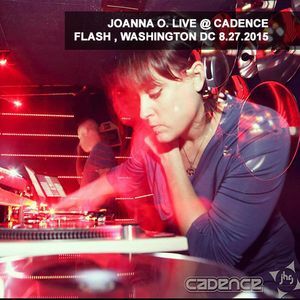 LIVE @ CADENCE @ FLASH WASHINGTON DC 8.27.2015by Joanna O.
Blu Mar Ten, Technicolour & Komatic, Skeptical, Villem & Mcleod, Villem and more. This show was 15th in the global dnb chart. A one hour live vinyl mix recorded from Flash Nightclub in Washington DC, for the Cadence DNB monthly event on 8.27.2015. Opening set for DJ Marky. Boh!